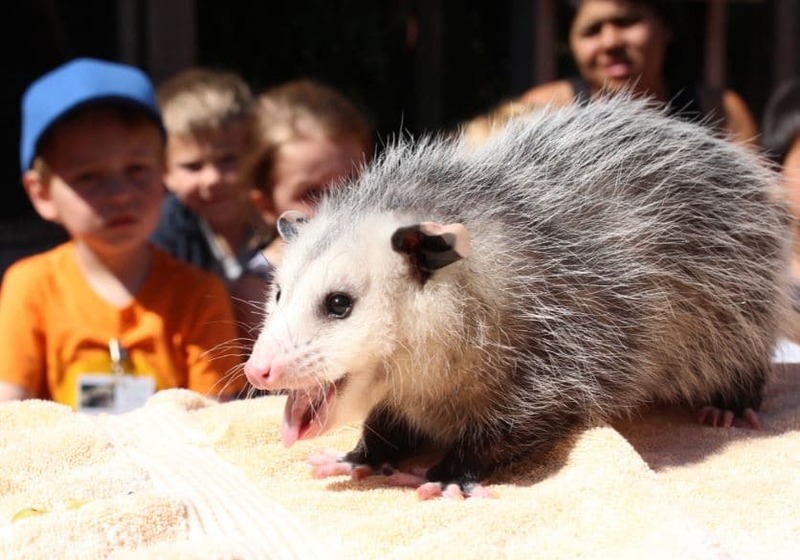 Summer Wildlife Camp 2019 — Click to register now! 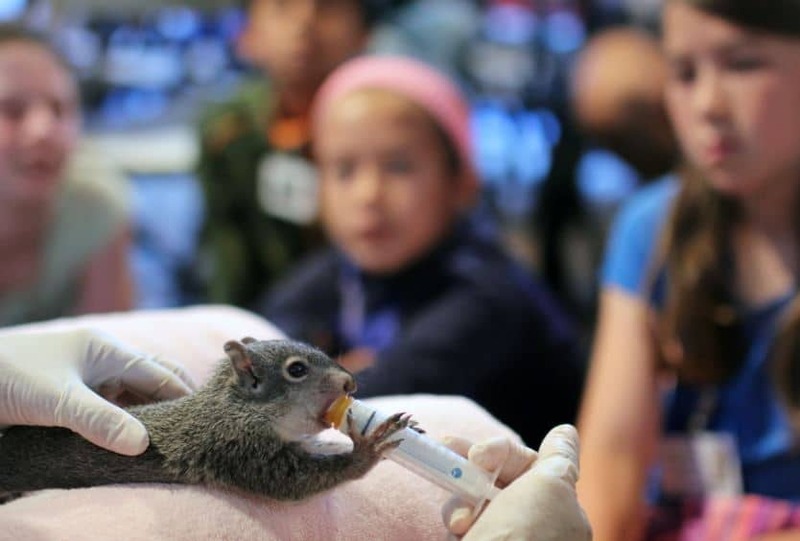 Wildlife Camp provides campers with an unforgettable wildlife experience, including live animal visits from our rescued wildlife ambassadors, animal-themed games, nature crafts, nature excursions and much more! Weekly camp programs are designed to captivate, engage and challenge young people, while building conservation knowledge and values. 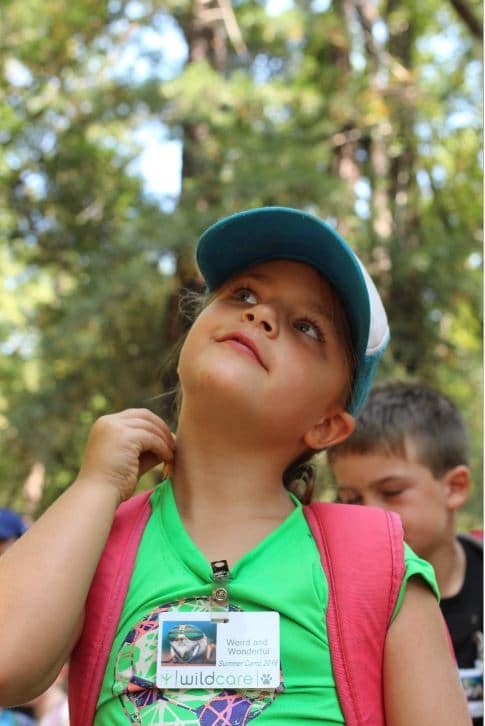 Wildlife Camp is a fun way to stimulate learning about wildlife and instill a life-long respect for the environment. Early registration for WildCare members begins on February 6, 2019. Open registration begins on February 13, 2019. Your registration will be confirmed within 5 business days. A full camp packet containing directions and additional information will be sent to you several weeks before your child’s scheduled session. Fee includes a camp T-shirt. Camp scholarships are awarded based on need. On the scholarship application, please be sure to include your household’s annual gross income (before deductions) including wages, tips, child support, government assistance, disability and any other income. We have a limited amount of scholarships available so apply early to be considered. Please do not send cash, a check or credit card information with your application. We will contact you regarding the status of your scholarship application and will ask for payment at that time if a scholarship is awarded. Please note that any and all portions of camp fees that are paid to WildCare are non-refundable. Applications are accepted after registration opens. Programs are taught by experienced teachers/naturalists who share their enthusiasm, knowledge and sense of wonder with children. The teacher is assisted by an adult teaching aide and student assistant. Group size ranges from 14-16 children. Campers will go on off-site excursions to Phoenix Lake on Tuesdays and the Marin Headlands on Thursdays (except 3-5 year olds). WildCare does not provide transportation to the off-site locations, so campers must be dropped off and picked up at the field trip sites. Directions will be included in the information packet, as well as available on the first day of camp. Too old to be a regular camper? Teens age 14-18 may volunteer as Teaching Assistants. Gain valuable experience working with children and earn community service hours while helping campers with craft projects, field trips, hands-on activities, etc. Applications and more information can be found on our website here. The Teaching Assistant application deadline is Friday, April 26, 2019. Cancellations made more than five weeks prior to the session’s start date will incur a $75 administrative fee. Cancellations made less than five weeks prior to the session’s start date are non-refundable. There are no partial refunds for missed days. Camp sessions are optimally designed for the stated grade groups. Please do not register your camper in a session for which they are not eligible. If you register your camper for a session for which they are not grade-appropriate, WildCare reserves the right to cancel your camper’s enrollment and apply our cancellation policy. Click to register for this camp! Growing up in the wild can be a tricky task! Examine the fascinating ways different animals raise their young, the interesting adaptations baby animals have to survive in the wild and simple ways we can help to keep them safe from harm. No field trips for this session. Campers must have attended pre-school and be completely potty-trained. What if you could see like an eagle, hear like a jackrabbit and smell like a fox? Experience the world though the senses of our wildlife friends. Investigate how a bat finds its food, how a doe recognizes her fawn and how a turkey vulture finds its next meal. Campers will go on off-site excursions to Phoenix Lake on Tuesday and the Marin Headlands on Thursday. Parents/guardians are responsible for providing transportation to and from the field trip locations. Learn all about threatened and endangered species and the amazing actions that humans are taking to respond to their plight. Become a wildlife hero by examining the perils facing wild plants and animals today and what you can do to help them thrive. 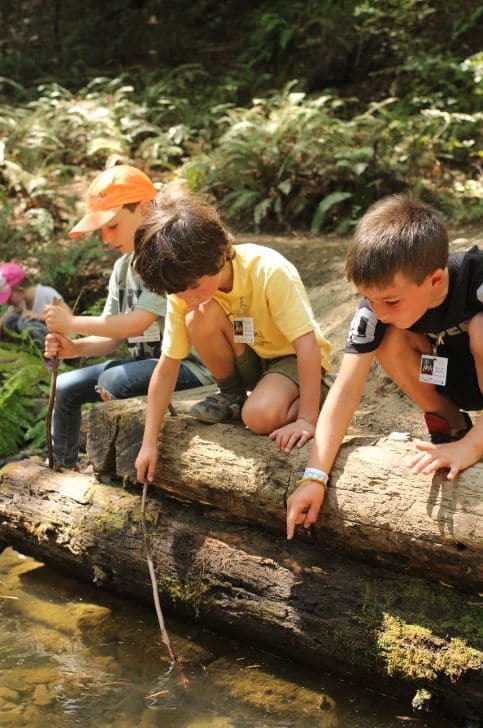 Campers will go on off-site excursions to Phoenix Lake on Tuesday and the Marin Headlands on Thursday, including a visit to The Marine Mammal Center. Parents/guardians are responsible for providing transportation to and from the field trip locations. Ever wondered how far an owl can turn its head? Why a woodpecker doesn’t get a headache? Or how a snake can swallow its prey in one big gulp? Discover all the unique adaptations that allow animals to thrive in their own habitats. Campers will go on off-site excursion to Phoenix Lake on Tuesday. Parents/guardians are responsible for providing transportation to and from the field trip location. This camp is FULL! Click here to be added to the waitlist. What critter performs a handstand to scare off predators? Coughs up pellets of indigestible food? Or dives head first through the air at 240 miles per hour? Come and explore the bizarre, the fantastic, the weird… and of course the wonderful. Nature is full of creatures with peculiar adaptations! Campers will go on off-site excursions to Phoenix Lake on Tuesday and the Marin Headlands on Thursday. Parents/guardians are responsible for providing transportation to and from the field trip locations. Ever wondered how far an owl can turn its head? Why a woodpecker doesn’t get a headache? Or how a snake can swallow its prey in one big gulp? Discover all the unique adaptations that allow animals to thrive in their own habitats. Campers will go on off-site excursions to Phoenix Lake on Tuesday and the Marin Headlands on Thursday. Parents/guardians are responsible for providing transportation to and from the field trip locations. Delve into the world of wildlife with this exciting overview of the natural world. Let us introduce you to the wide variety of critters, from mammals and birds to reptiles and insects. Examine how each animal is specially equipped with adaptations for its unique lifestyle. Campers will go on off-site excursions to Phoenix Lake on Tuesday and the Marin Headlands on Thursday. Parents/guardians are responsible for providing transportation to and from the field trip locations. Growing up in the wild can be a tricky task! Examine the fascinating ways different animals raise their young, the interesting adaptations baby animals have to survive in the wild and simple ways we can help to keep them safe from harm. No field trips for these sessions. Campers must have attended pre-school and be completely potty-trained. (See Special Considerations for Pre-K Campers above).